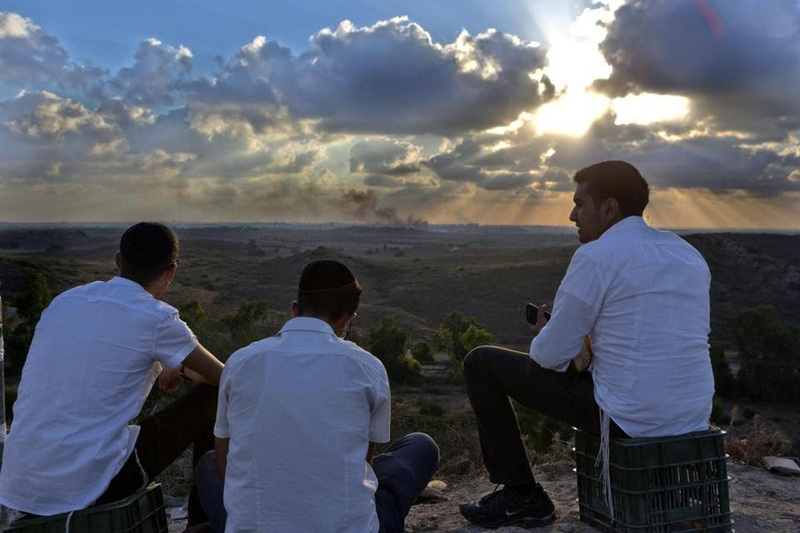 My visit back home to the Galilee coincided with the genocidal Israeli attack on Gaza. The state, through its media and with the help of its academia, broadcast one unanimous voice -- even louder than the one heard during the criminal attack against Lebanon in the summer of 2006. Israel is engulfed once more with righteous fury that translates into destructive policies in the Gaza Strip. This appalling self-justification for the inhumanity and impunity is not just annoying, it is a subject worth dwelling on, if one wants to understand the international immunity for the massacre that rages on in Gaza. But the lies and distorted representations are not the worst part of it. It is the direct attack on the last vestiges of humanity and dignity of the Palestinian people that is most enraging. The Palestinians in Israel who have shown their solidarity with the people of Gaza and are now branded as a fifth column in the Jewish state; their right to remain in their homeland cast as doubtful given their lack of support for the Israeli aggression. Those among them who agree -- wrongly, in my opinion -- to appear in the local media are interrogated, and not interviewed, as if they were inmates in the Shin Bet’s prison. Their appearance is prefaced and followed by humiliating racist remarks and they are met with accusations of being a fifth column, an irrational and fanatical people. And yet this is not the basest practice. There are a few Palestinian children from the occupied territories treated for cancer in Israeli hospitals. God knows what price their families have paid for them to be admitted there. The Israel Radio daily goes to the hospital to demand the poor parents tell the Israeli audience how right Israel is in its attack and how evil is Hamas in its defense. There are no boundaries to the hypocrisy that a righteous fury produces. The discourse of the generals and the politicians is moving erratically between self-compliments of the humanity the army displays in its “surgical” operations on the one hand, and the need to destroy Gaza for once and for all, in a humane way of course, on the other. This righteous fury is a constant phenomenon in the Israeli, and before that Zionist, dispossession of Palestine. Every act whether it was ethnic cleansing, occupation, massacre or destruction was always portrayed as morally just and as a pure act of self-defense reluctantly perpetrated by Israel in its war against the worst kind of human beings. In his excellent book The Returns of Zionism: Myths, Politics and Scholarship in Israel, Gabi Piterberg explores the ideological origins and historical progression of this righteous fury. Today in Israel, from Left to Right, from Likud to Kadima, from the academia to the media, one can hear this righteous fury of a state that is more busy than any other state in the world in destroying and dispossessing an indigenous population. It is crucial to explore the ideological origins of this attitude and derive the necessary political conclusions from its prevalence. This righteous fury shields the society and politicians in Israel from any external rebuke or criticism. But far worse, it is translated always into destructive policies against the Palestinians. With no internal mechanism of criticism and no external pressure, every Palestinian becomes a potential target of this fury. Given the firepower of the Jewish state it can inevitably only end in more massive killings, massacres and ethnic cleansing. Academically, this has already been done. Our main challenge is to find an efficient way to explain the connection between the Zionist ideology and the past policies of destruction, to the present crisis. It may be easier to do it while, under the most terrible circumstances, the world’s attention is directed to Palestine once more. It would be even more difficult at times when the situation seems to be “calmer” and less dramatic. In such “relaxed” moments, the short attention span of the Western media would marginalize once more the Palestinian tragedy and neglect it either because of horrific genocides in Africa or the economic crisis and ecological doomsday scenarios in the rest of the world. While the Western media is not likely to be interested in any historical stockpiling, it is only through a historical evaluation that the magnitude of the crimes committed against the Palestinian people throughout the past 60 years can be exposed. Therefore, it is the role of an activist academia and an alternative media to insist on this historical context. These agents should not scoff at the opportunity to educate the public opinion and hopefully even influence the more conscientious politicians to view events in a wider historical perspective. Similarly, we may be able to find the popular, as distinct from the high brow academic, way of explaining clearly that Israel’s policy -- in the last 60 years -- stems from a racist hegemonic ideology called Zionism, shielded by endless layers of righteous fury. Despite the predictable accusation of anti-Semitism and what have you, it is time to associate in the public mind the Zionist ideology with the by now familiar historical landmarks of the land: the ethnic cleansing of 1948, the oppression of the Palestinians in Israel during the days of the military rule, the brutal occupation of the West Bank and now the massacre of Gaza. Very much as the Apartheid ideology explained the oppressive policies of the South African government, this ideology -- in its most consensual and simplistic variety -- allowed all the Israeli governments in the past and the present to dehumanize the Palestinians wherever they are and strive to destroy them. The means altered from period to period, from location to location, as did the narrative covering up these atrocities. But there is a clear pattern that cannot only be discussed in the academic ivory towers, but has to be part of the political discourse on the contemporary reality in Palestine today. Ilan Pappe's is a calm, historically informed and reasoned voice amid a swirl of calculated deception and casual misunderstanding. This self-financed independent film by Ronen Berelovich, veteran of the IDF occupying forces, uses archival footage to document the development and evolution of techniques of ethnic cleansing, colonization and apartheid employed to produce a demographically "purified" Jewish State. Tom, Thanks for bringing the truth to light, again and again. Pappe's indictment points to the ideological and historical basis for Israel’s policy of genocide. Berelovich has crafted an excellent documentary . . . two voices that need to be heard above the murderous violence and the justifications for it. We my sister Gretel, oh Gretel left our father’s house and scattered and lost did not stop at her old witch woman’s cottage candy hungry but kept on into the world, woods. We were set upon by rebels guerillas tribesmen revolutionaries who they raped cut off and stabbed left I my sister Gretel, Gretel for dead graves hands, for two days nearly to get we circled back; her cottage, burned ruin, hungry kept us alive. Then Gretel in the night died a creature something dragged her out and half-devoured her it. I filled my pockets I walked I Hansel out recognizing nothing birds circling above me I was a child who liked sweets this is my testimony what I broken know and don’t forget everything has to eat. Thanks for the company, Hazen and Carol. "After being threatened and harassed before and during a liveshot, Diana reacted angrily on Twitter," a CNN spokeswoman told the Huffington Post. "She deeply regrets the language used ... She certainly meant no offense to anyone beyond that group, and she and CNN apologize for any offense that may have been taken." Magnay has been reassigned to Moscow. The house of the Antez family in Sha'af looks undamaged from the outside. But the men milling around it have the dazed faces of grief that tell a different story. Inside, the hole punched by the tank shell that hit the house, after clearing the retaining wall, is visible about 3m (10ft) off the ground. It seems a small thing – a hole the size of a toaster. But the shell travelled through four walls, scattering pieces of shrapnel that have been gathered and placed to one side. There were 60 people from three families sheltering inside, some under the stairs, some in a corridor leading to a half-finished room. Following the shell's path through the house, three pools of blood punctuate where three people died – two of them children. Salem Antez, 29, approached with a purple plastic bag and opened it, its contents terrible. "This is my son," he said and nothing else, tears tracking down his face. Mohammad, another family member explained, was two. The other dead were Abed Ali, 24, and Mohammad Ibrahim, 13. Salem bent back to his task – his bag becoming a little heavier. "They hit us at 8.45pm," an uncle said. "We had just finished our Iftar meal and were gathered here for safety." 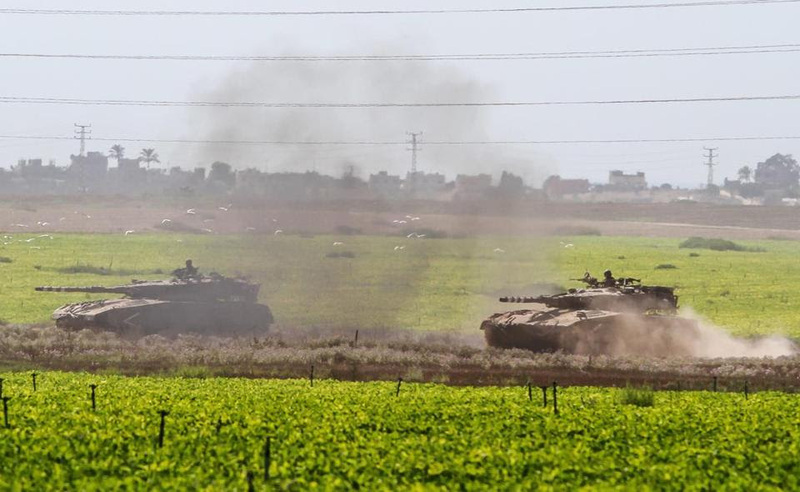 The morning after the night of the artillery barrage that launched Israel's ground offensive into Gaza drew back the veil on the consequences – a bleak procession of the dead and injured from the coastal enclave's south through its eastern border regions up to the north. The deaths in the Antez family came as Palestinian health officials said 27 Palestinians, including a baby, two children and a 70-year-old woman, had been killed since Israel poured ground forces into the densely-populated strip of 1.8 million Palestinians on Thursday night. Creative comment is often the most telling. Objective witnesses were not exactly thick on the ground to start with, and with every day, under pressure of the menace of isolation, the possibility of rational discourse, or even a conversation, dwindles. But here are a few pieces turning up here and there, on blogs of course, far from CBS and BBC and Fox and the sly fox Rupert Murdoch. “It was broad daylight. There was no warning. 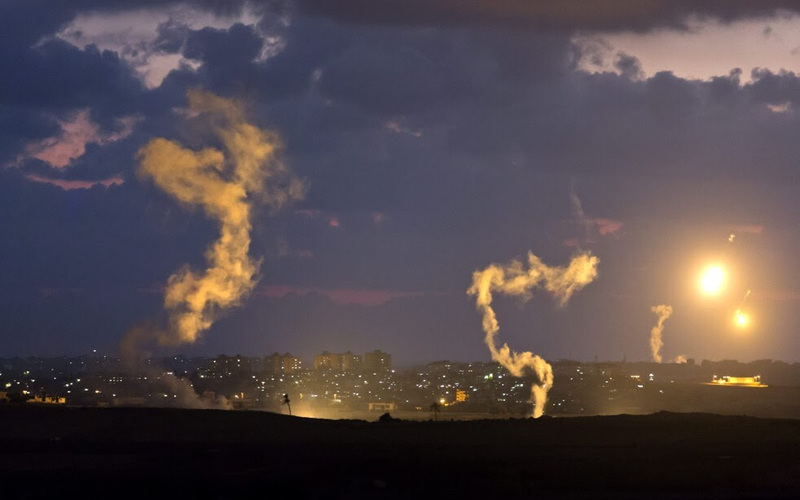 It wasn’t the precision war Israel says it is fighting… Israel claimed that it was firing at Hamas militants at the port. But the dead were four young boys.” That is, NBC just called the Israeli military bald-faced liars, because there were no Hamas militants on that beach, just children playing. What can we conclude from this sickening attack? 1. Israel actually has quite bad intelligence about Gaza. The Israeli navy thought it was bombarding militants when it was actually just shelling a civilian beach with little children running around on it. 2. 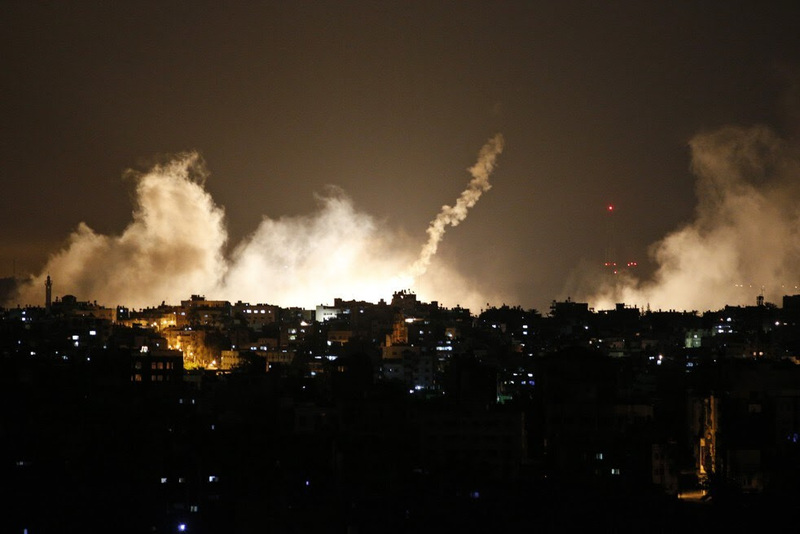 Israel doesn’t know exactly what it is shelling. The Israelis clearly saw the four little boys running away, and deliberately fired another shell at them, killing them. The gunner surely thought he had Hamas in his sights. In fact, they were just little boys, deliberately targeted and killed as they were trying to get away. 3. Israel’s so-called warnings to Palestinians to leave are absurd, because the civilians have no place to go in tiny Gaza. 4. This is not a precision war on Israel’s part. 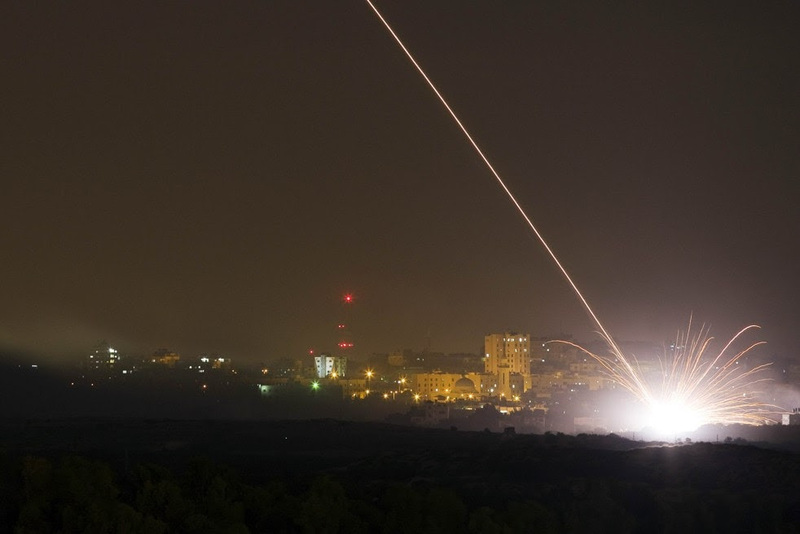 The Israeli officers outside Gaza are just hitting any old target and then declaring it a Hamas depot. 5. Israel’s response to the incident, that it will conduct an investigation, is pure propaganda. The Israeli government almost never finds against itself. The passive aggressive phraseology is a dead giveaway. The shelling of boys on a beach is symbolic of the aggressive paranoia of the Likud government. In Maine and disconnected from the world mostly, I come back here first to get caught up on the events. Thanks, Tom for your powerful postings. Thank you, Nin, and there's nowhere I'd rather be at this moment than in Maine, disconnected from the world mostly. Here I remain perhaps equally disconnected, in the middle of the traffic, in a difficult spiritual time for many, hanging on amid the confusion as best I'm able to what seems right largely by virtue of inspiration from friends, like you. Stick with it, Tom. We can hear you over here. They can snoop on me over here. A few readers with a heart trump all the armies of the robo-monitors every time.